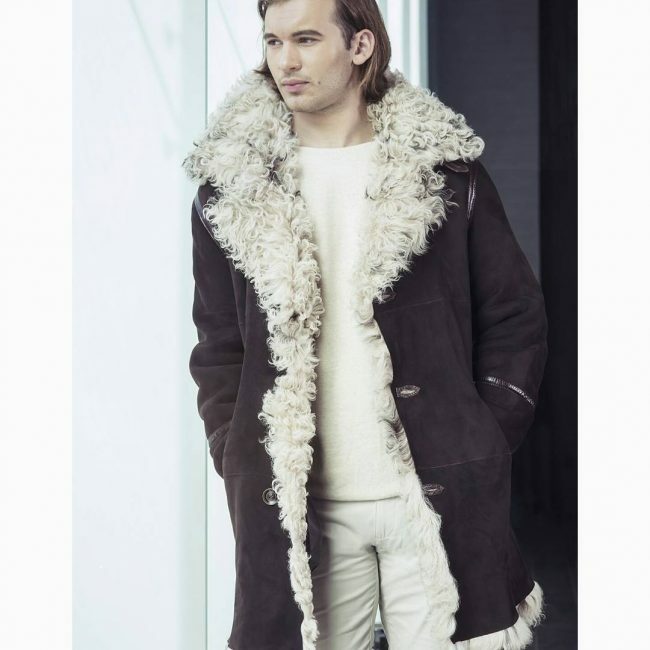 Shearling coats are the warmest way to brace the cold winters in a stylish way. 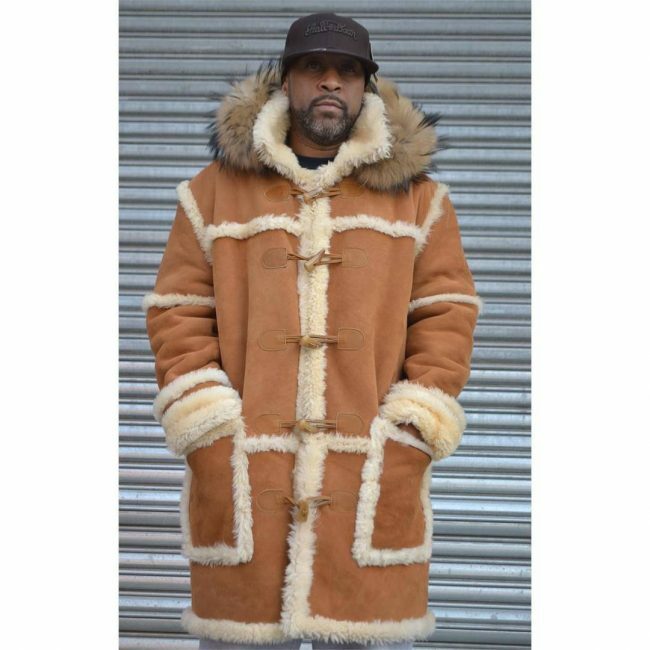 These coats are made with recently sheared sheepskin or lambskin with a suede surface on one side and fur surface on the other side. The faux fur or eco fur is also widely used. 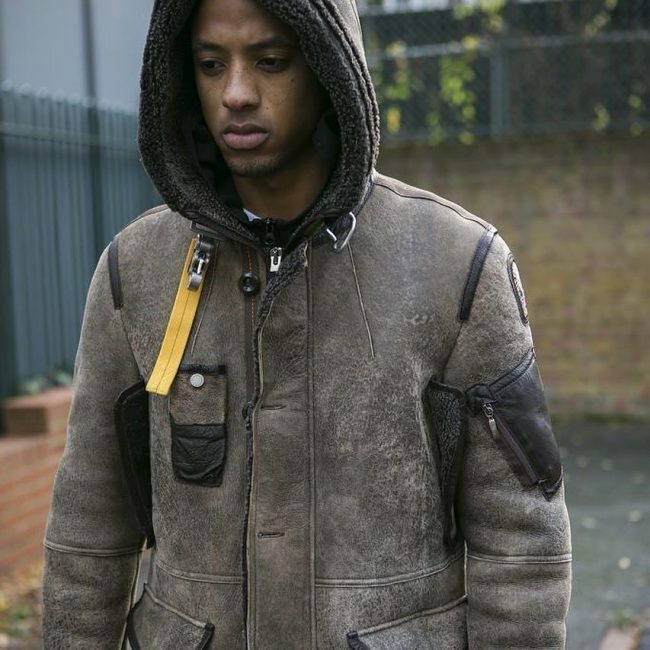 The coats are an epitome of warmth and are a perfect option for the harsh temperatures. The luxurious soft coats feel uniform and dense because of the fur lining and keep the body cozy without looking bulky or rough. Since it is the perfect season for styling these coats, here are 25 ways in which you can style these beautiful coats to look your warmest best this season. Beat the cold in this sturdy leather and fur jacket which will make sure that you are warm and fashionable at the same time. The yellow details add a pop of color to the outfit. 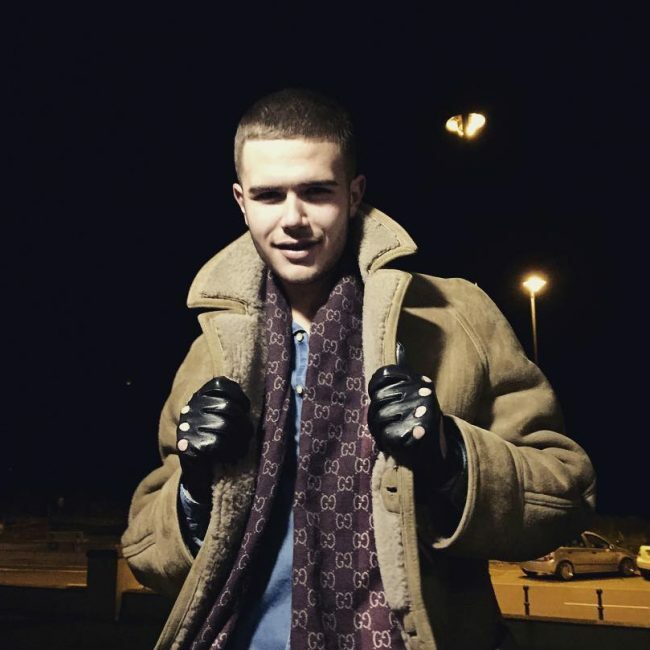 Style the beige jacket with a patterned muffler and gloves for a trendy and casual look. 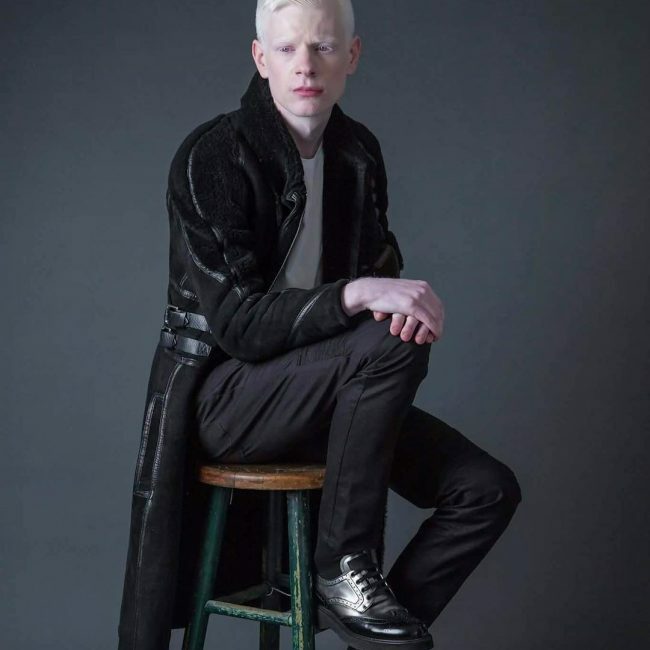 The light shirt complements the coat really well. Keep it formal with this classic tie and waistcoat combination which looks formal yet chic. The beige and cream coat adds a stylish feel to the look. 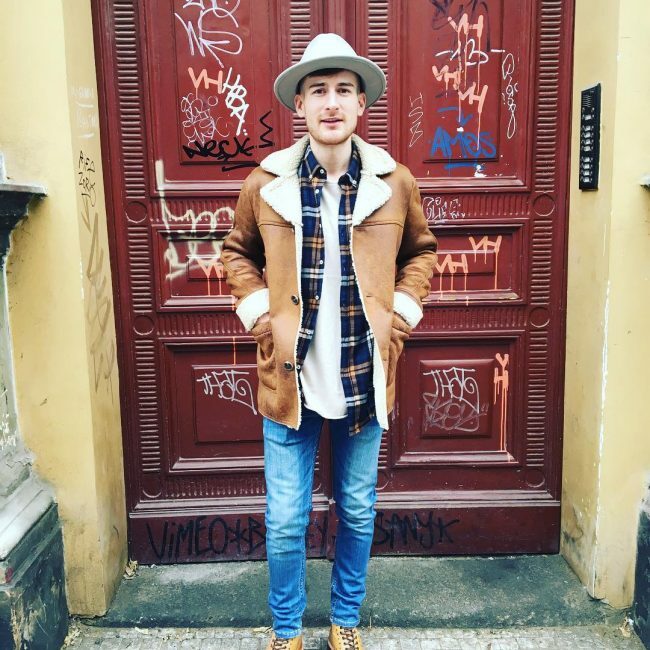 This solid jacket will be your best friend in colder climates where a regular jacket just won’t do. 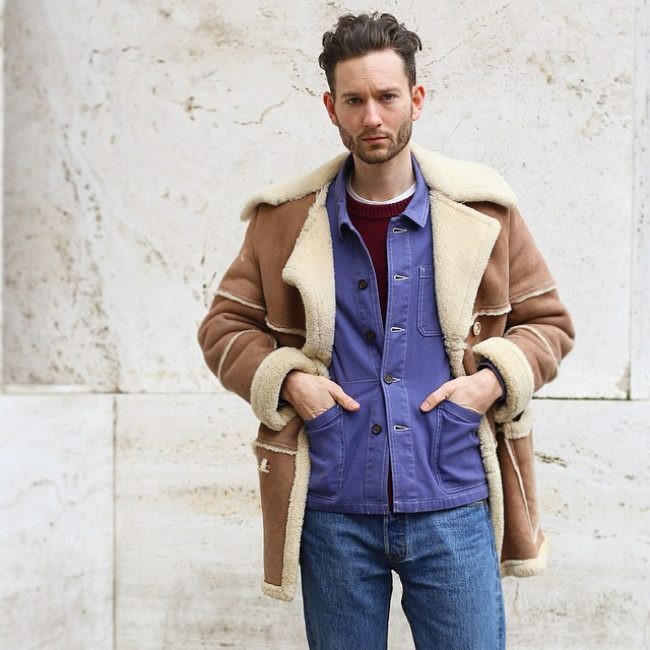 Keep the rest of the outfit simple to give full attention to this jacket. Wear the jacket with a basic white T-shirt and denims for an informal look which works well for both casual outings and day to day chores. 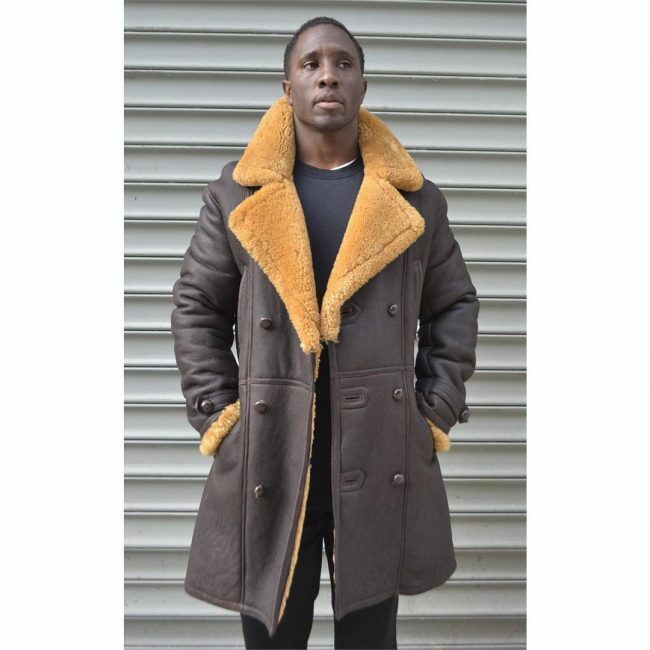 Try this perky orange and brown Shearling coat to add some colors to the dreary winters. The black T-shirt and pants complement the colors of the jacket. 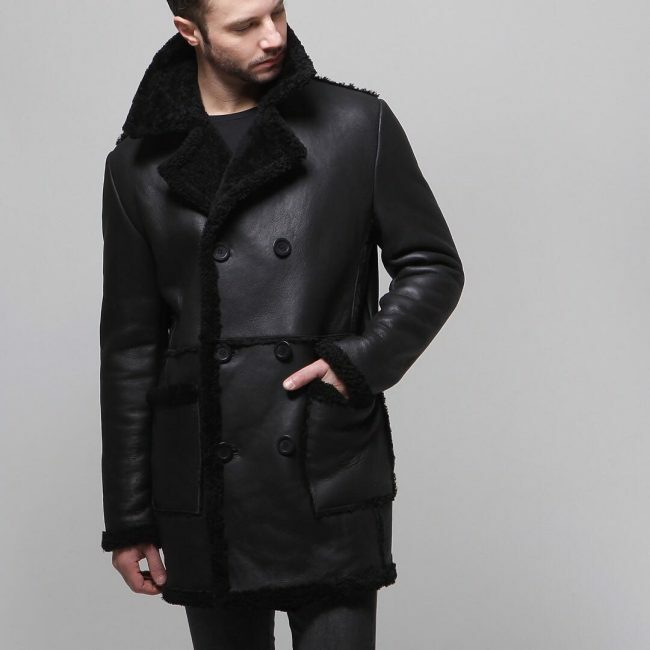 Channel your inner emotions with this perfectly black leather coat with gray fur lining. The gloves and denims are matching the jacket to add to the appeal of the look. Pair up your winter jacket with a cream pullover and matching lounge pants to bring the whole look together. The cap adds a fun element to the look. 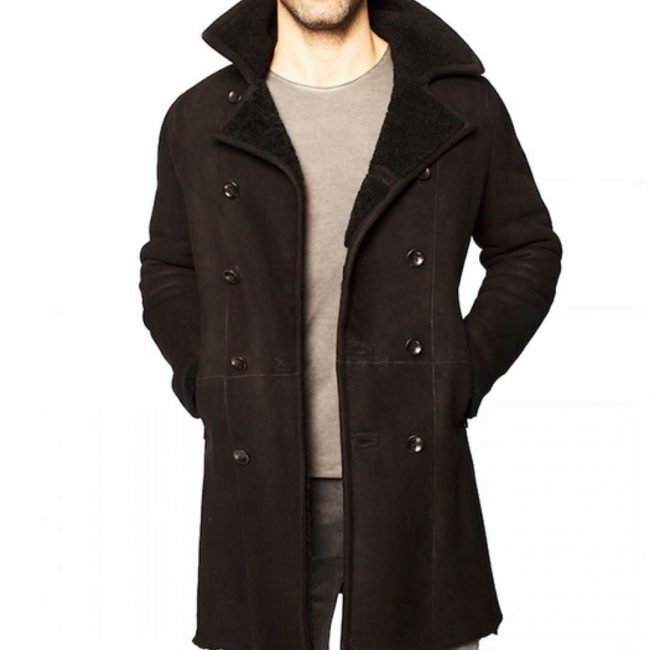 Bring some cheer in the dark winters with this classy combination of black T-shirt worn under a fluffy winter coat. 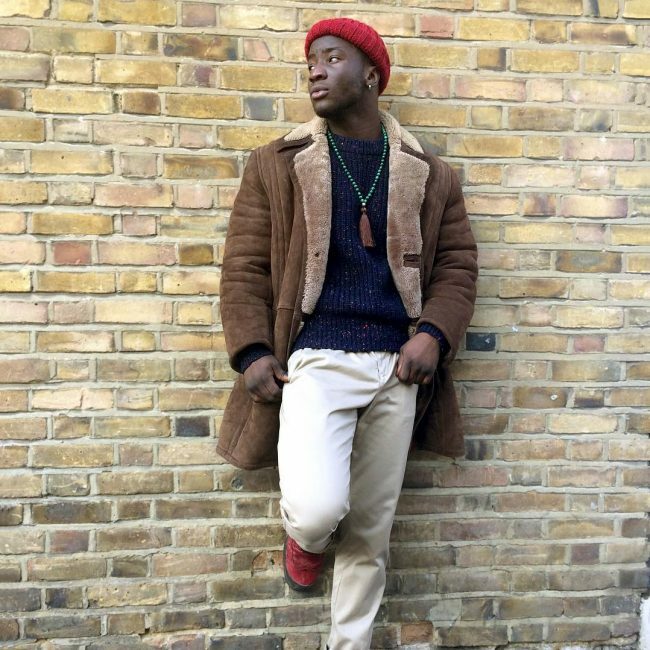 The red skull cap is a great way to add some color to the brown outfit. Make the boring business meetings stylish with this easy outfit which is classy and sophisticated. The sweater and navy pants are the perfect colors to pair up with this jacket. Turn heads on the way to work with this beautifully styled black fur jacket which looks ultra modern and contemporary. Add some light colors to the outfit to make it look contrasting or go all black for a rustic feel. Wear this easy on the eye outfit with a brown jacket and blue denims to match the cap. 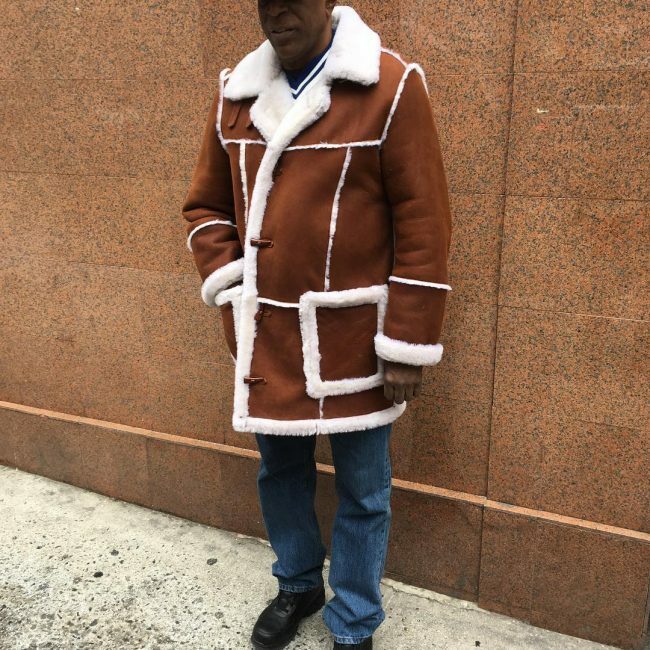 The jacket looks comfy and fashionable in tones of brown and white. Add some fun to your outfit with this formal look. 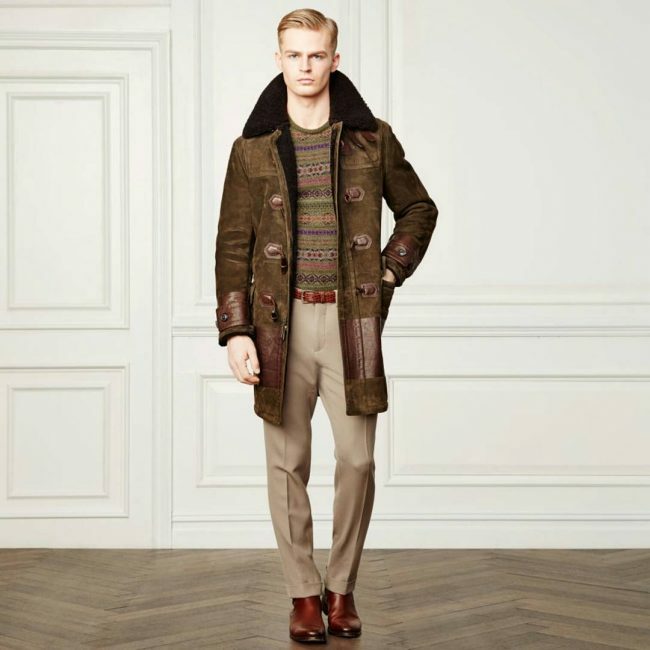 The jacket is worn over a holiday sweater and pants with a tan belt to give this outfit a trendy feel. Pair up your black leather coat with a herringbone black and white sweater to give it a solid color look. The all black ensemble looks fierce and chic. Step up your winter outfit game with this formal yet interesting combination of a brown and white jacket with black and white shirt. 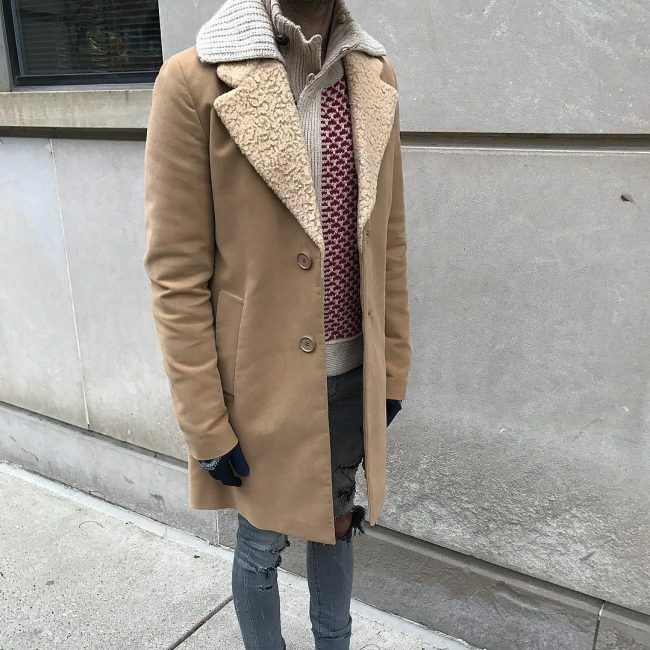 The tan belt matches with the coat and brings the whole outfit together. 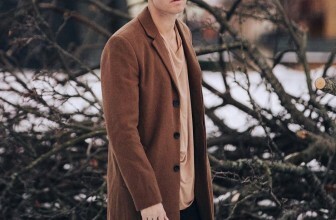 Matching shirt and jeans worn with black T-shirt and brown overcoat gives this outfit an edgy appeal and brings out the colors of the shirt well. Experiment with different shades of the same color to create a vibrant outfit. Gear up for work in this gorgeous color combination of blue, cream, and burgundy. 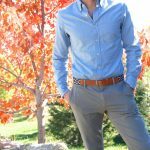 All the fall colors make this outfit smarter than it already is. This outfit is simple yet sophisticated and makes the wearer feel warm and cozy without adding more layers to the outfit. 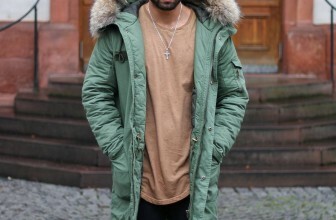 The jacket is easy to wear and looks comforting. 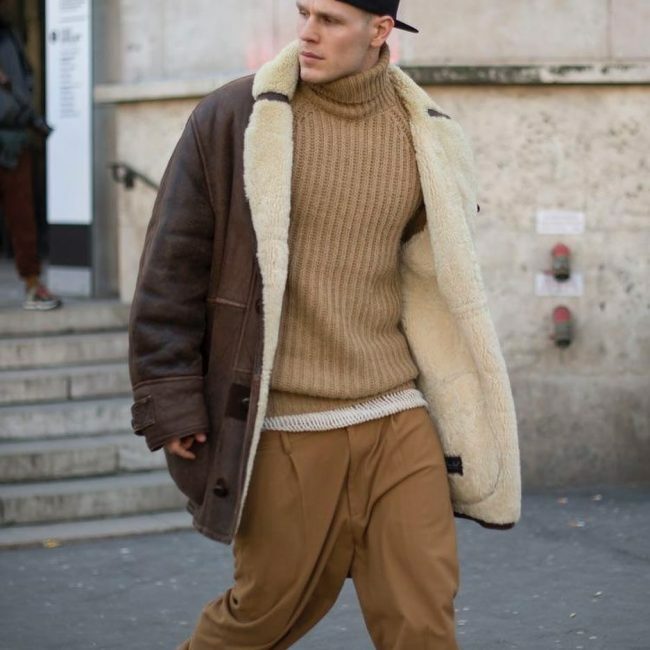 Go all out with this vintage look complete with formal shoes and muffler wrapped around the neck. 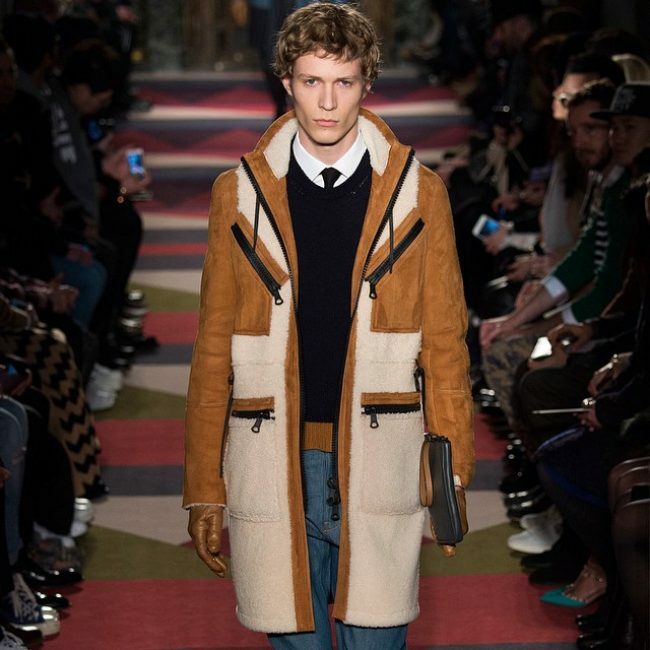 The coat and pants work well together and the colors look contrasting. Go for your next holiday with this perfect outfit which looks stylish. 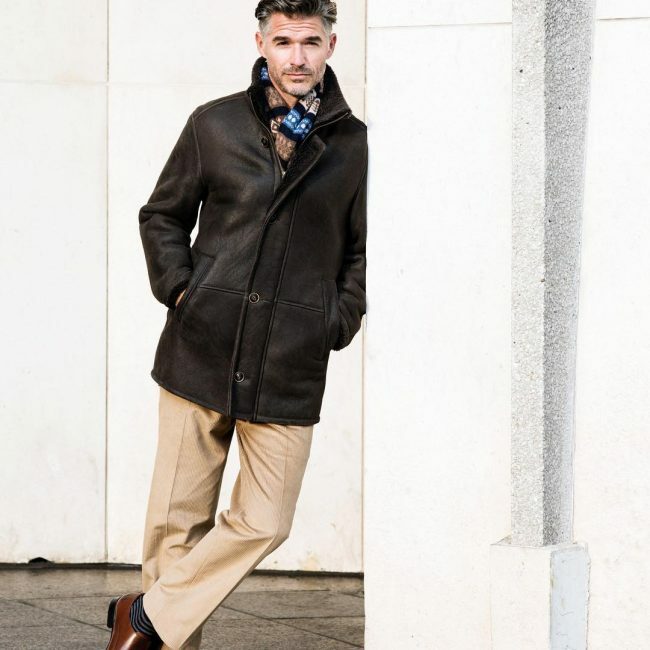 The tan coat and boots give the otherwise casual look some classy appeal. 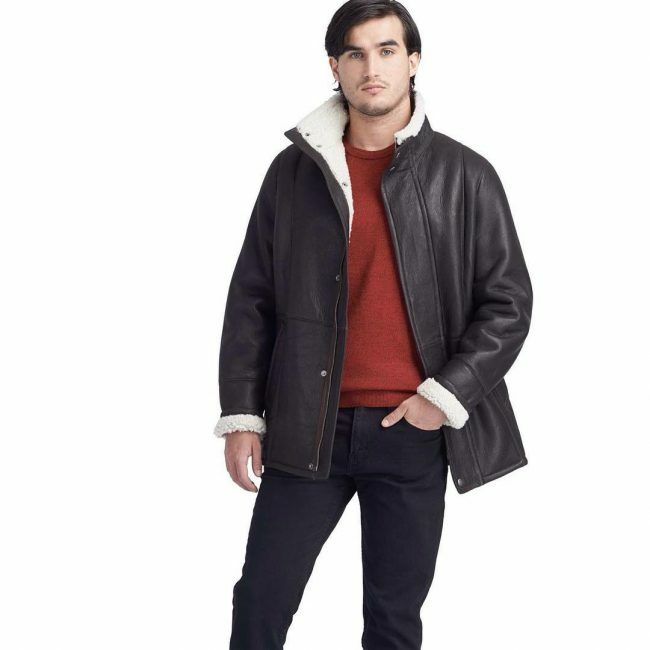 The red sweater is combined with a leather coat and black jeans to make this outfit look easy to carry and warm. The attire is simple yet elegant. 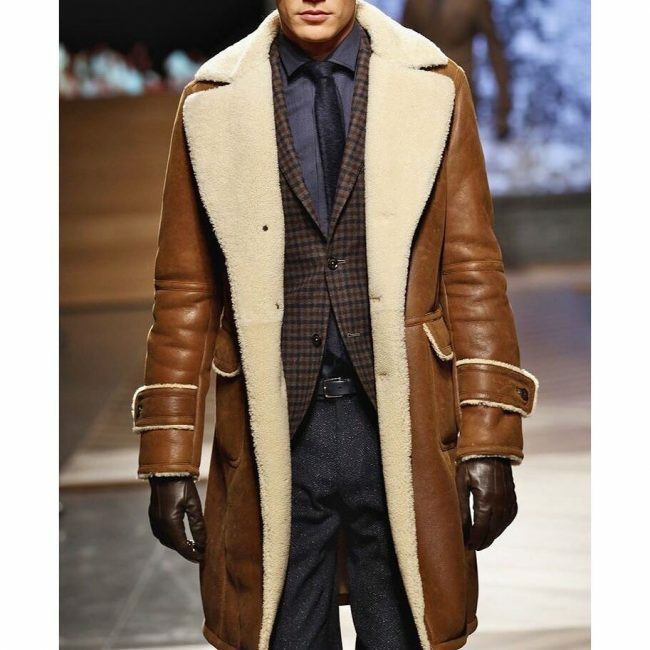 This is an alternative style for those men who want to wear classy outwear and keep warm at the same time. The length will definitely let you wear it even with the suit on the official occasions. The mix of glossy and matte finishes in the jacket is what makes it unique and catchy. 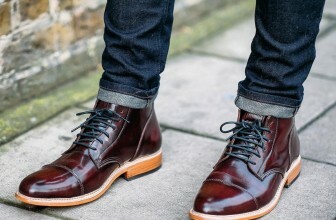 The glossy boots add more drama to the outfit. This unstructured jacket with dollops of fur in your best bet for a luxurious feel. The beige and cream T-shirt and pants provide a great contrast to the dark shades of the jacket. 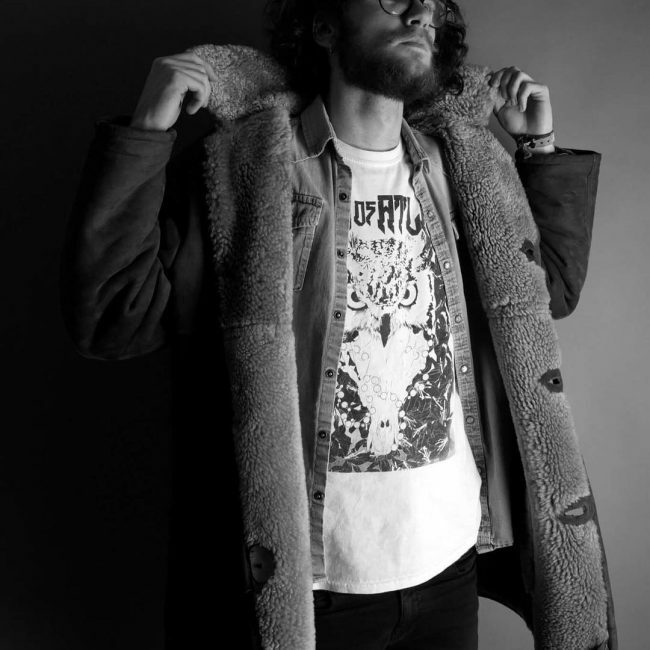 Add some fun to your look with the graphic T-shirt and jeans combination worn with a shearling coat. A casual shirt is worn over the T-shirt to add more layers to the attire. 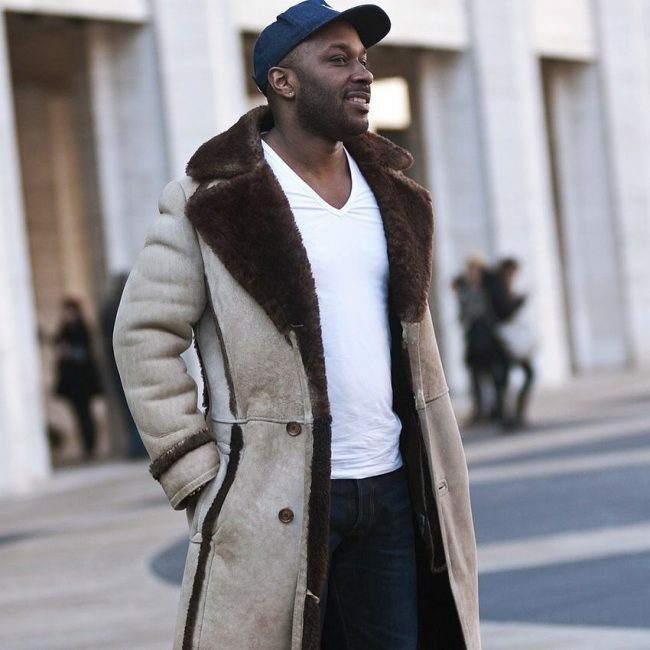 So these are some of the best ways in which you can style shearling coats in a fun and trendy way. 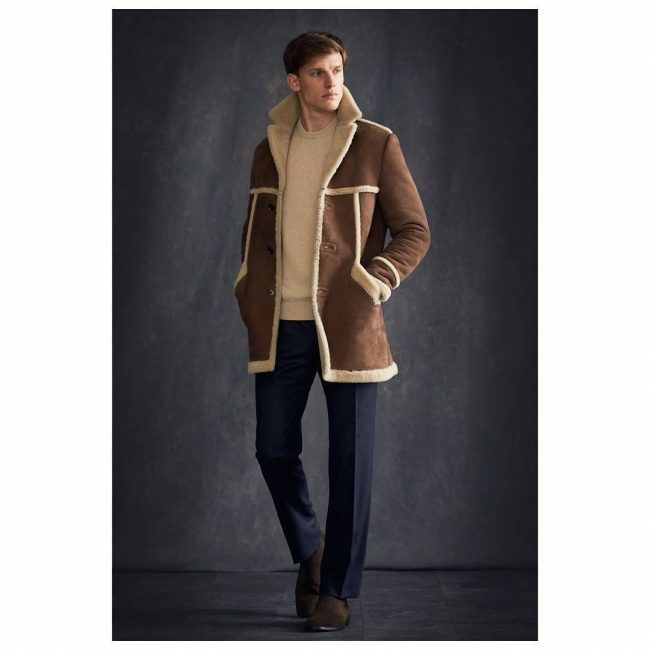 You can keep it formal or choose to go casual with the vast variety of jackets available in the softest fabrics which protect you from the cold without making your outfit look monotonous or boring. 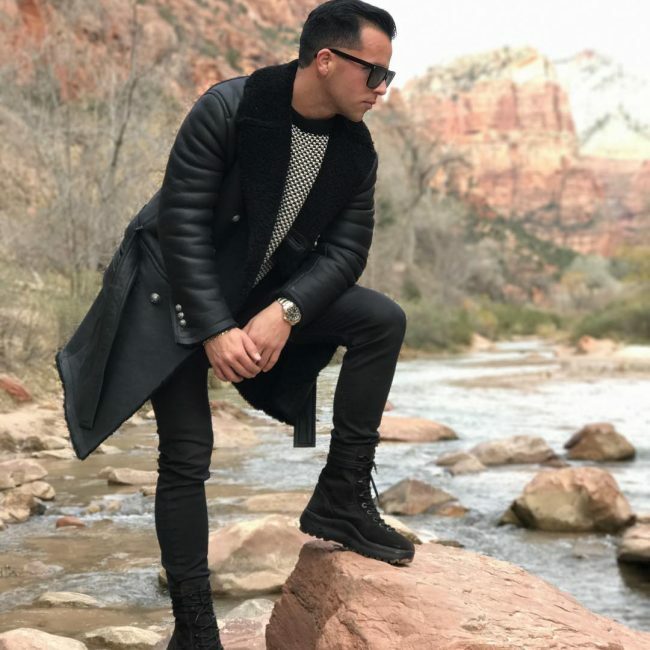 Experiment with different patterns and colors to make these jackets the star of your attire and add some more warmth by adding layers under the jacket. You can also go all formal with a 3-piece suit worn under the coats to bring a modern appeal to your office look. 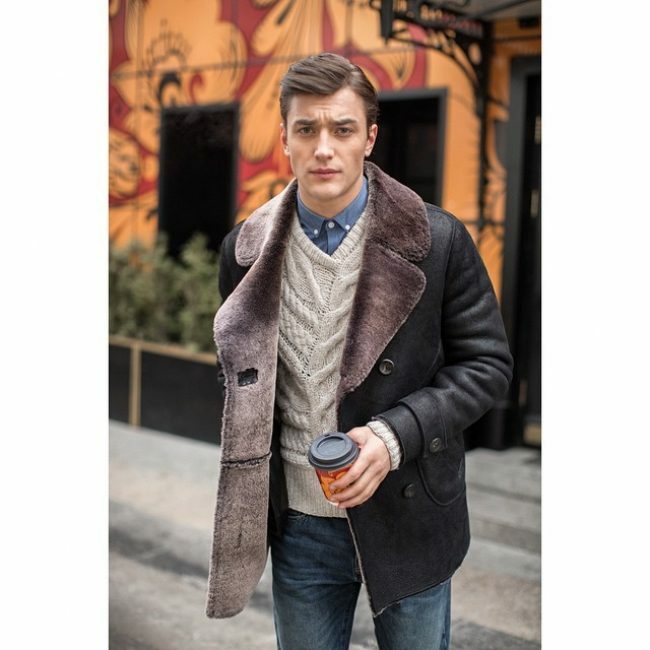 Choose from these great styles and customize them according to your tastes to get the best winter look this season in shearling coats.